Eficode was helping City of Espoo to support openness and participation in all interaction that the city has with its citizens and partner organizations. The six largest cities in Finland have joined forces to tackle their common urban challenges. The Six City Strategy 6Aika is implemented with cooperative projects which enable the cities to experiment in a larger context than just one city. It engages the whole urban community to create smarter and more viable cities striving towards communality, openness and accessibility. City of Espoo recognized that they have a perfect environment to boost the city’s open participation. Service Centre in Iso Omena shopping centre is a new service concept for public services. It makes it easier for municipal residents to use everyday services, as it provides several services in one easily accessible place. In Service Centre there is a large library including rooms and tools for lend, youth services, a maternity and child health clinic, a health centre, mental health and substance abuse services, KELA Social Insurance Institution, a Citizen’s Services office, HUS laboratory and medical imaging, and a meeting place for art and culture. But what is open participation and how to support openness and participation in all interaction that the city has with its citizens and partner organizations? To boost open participation, there is a need to have some muscle on the bone to it. What does open participation mean to different kinds of organizations, and what does it mean to citizens? How can people participate and how can it be done openly? A model to describe it all was needed. There were two main areas that Espoo needed to understand in more concrete ways: What are the ways of working to reform existing services with users? How to support companies and associations in providing those services that citizens need? Our client had clear questions that needed to be answered, but they were unsure of how to get the answers to create a model that covers all municipal services. There was a clear need for Service Design to find the ways. At Eficode we design services together with the customers. We have found that when actively including customers and end-users in the creation of new services we can deliver better value for both the customer and the service provider. That being said, we did most of the design work together with the people living or working in Espoo. The model is a result of designing and discussing with almost 100 people with varying backgrounds and life situations. We have met the mother who needed to quit her job because her child needed extra help at home. We have met the eager and energetic entrepreneur who is certain that their app is the best. We have met the elderly widow who has never used internet. We have met the volunteer worker who wants to use his free time to help others and is frustrated with public resources. Together with all these Espoo people we have recognized their motivations and goals in life, what kind of things they need in their living environment, and what would encourage them to participate in creating better services and working in co-operation with others. In several workshops we have sketched and defined the actor network and interaction diagrams. We have encouraged innovation with ‘How might we?’ canvases. We have interviewed people in groups and one-on-one sessions. We have built service blueprints and prototyped digital solutions for communication. We knew from the start that service design was the way to go with this kind of challenge. Open participation is a complex problem and gets even more so in our complex environment. It was clear that expertize from outside was needed. Working with service design professionals has given more depth to our participation model than what we would have achieved on our own. We are very pleased with the outcome and how citizens and our partners were involved and activated on the process. Of course our challenge now is to take the plan into action. The project ran smoothly and on schedule and it has been a real pleasure to work with Liisa-Maija and Annika and create together a new way to perceive open participation in public services. - Veera Vihula, Project manager, City of Espoo. Now we have Espoo’s open participation described in six key elements: Actors, Interaction, Physical environment, Digital environment, Co-creation process and Open participation blueprint. The model considers a vast number of services and customers, all those of a large city, and it can be used as the guiding principle in making open participation happen all around the city. 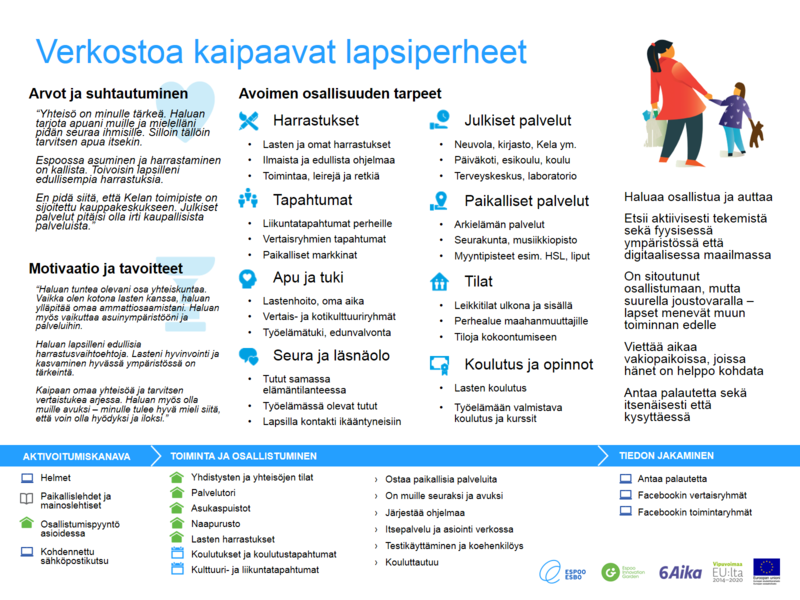 Could City of Espoo have done it without a service designer from outside of the organization? Maybe. But as we humans tend to do, we become blind to our everyday environment and the problems and possibilities that dwell just next to us. An outsider can get a look of the whole by actively observing and listening to all its parts. And of course, keep the agreed schedule. City of Espoo will pilot the model in Iso Omena Service Centre, taking into account the understanding that is gathered of different actors and the ways they interact, as well as responsibilities in open participation. An important feature of the model is flexibility, and should be updated whenever new or conflicting behavior is found. The next step is to share the model with other big cities, so that we can enjoy smarter and more viable cities striving towards communality, openness and accessibility. 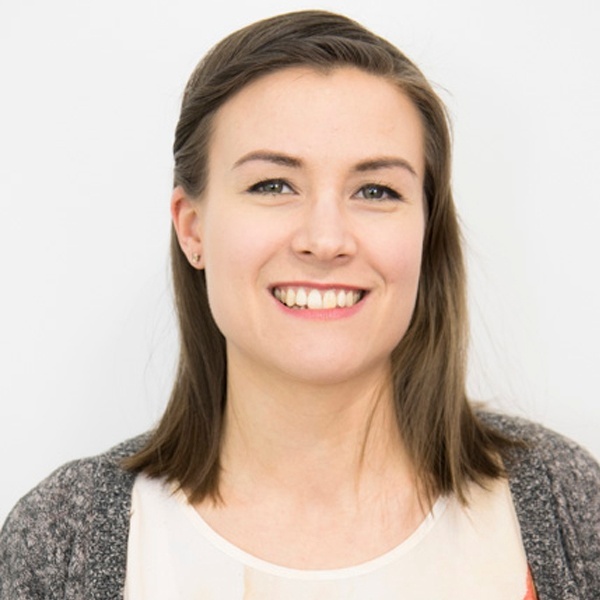 Annika is a Senior UX Specialist who is eager to develop better services and products together with the client.